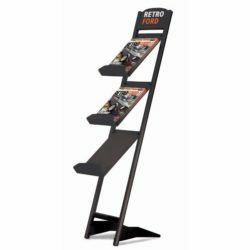 Packing Size: 11.02" x 54.72" x 2.17"
Display your brochure, leaflets, forms in retail stores or any other merchandising settings with Rapid brochure Sets. Rapid Brochure set has a stylish look and eye-catching shelves. 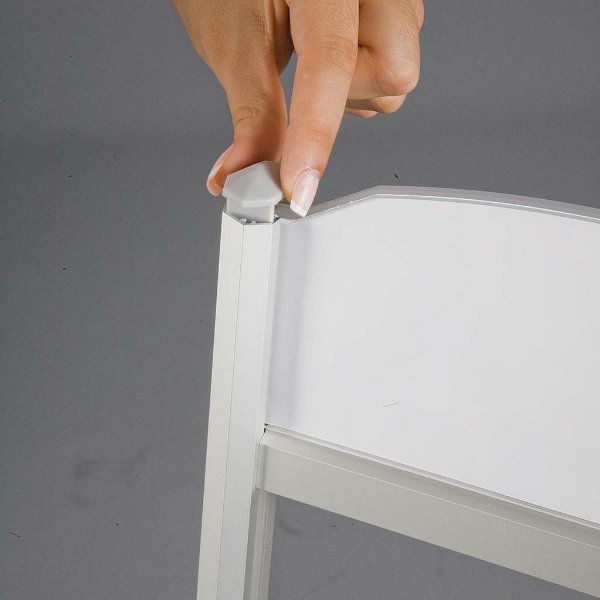 Shelves are made of frosted acrylic and easily placed on the aluminum poles. Boxed in flat with unassembled shelves, it guarantees easy and safe transportation. Header consists of 2 pieces; Front piece is clear and the back piece is frosted acrylic. 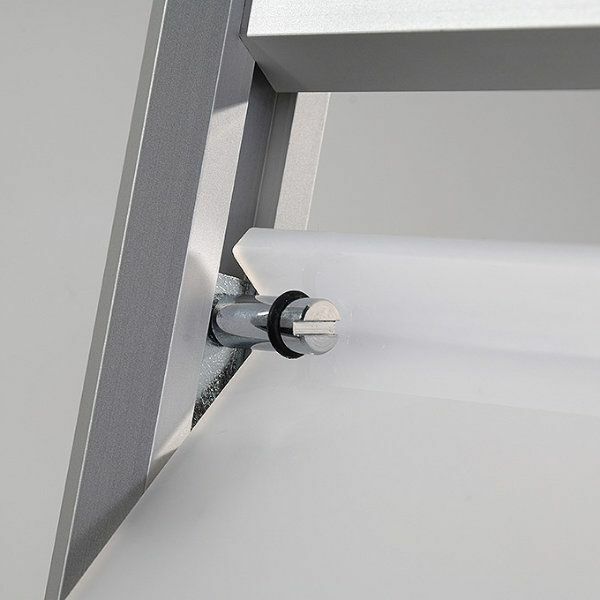 You can put your paper poster in between these acrylics or apply printing directly on the clear or frosted acrylic pieces. 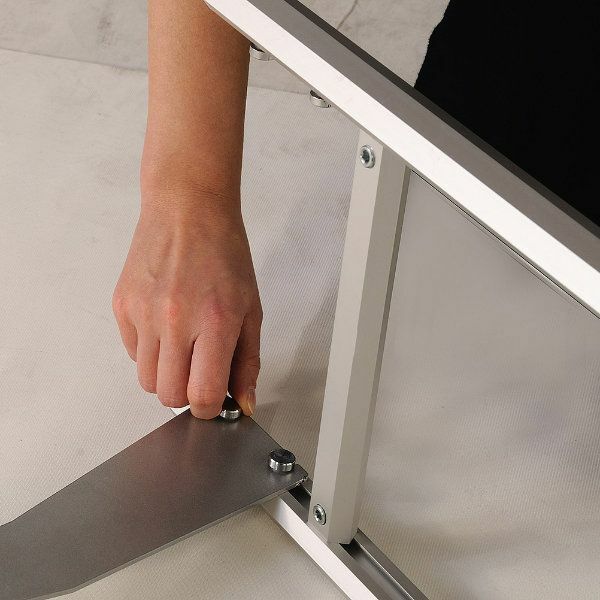 Shelves are made of 3/16 inch (4 mm) frosted acrylic. Feet is aluminum. No tool assembly,easy to build-up & ready to use. 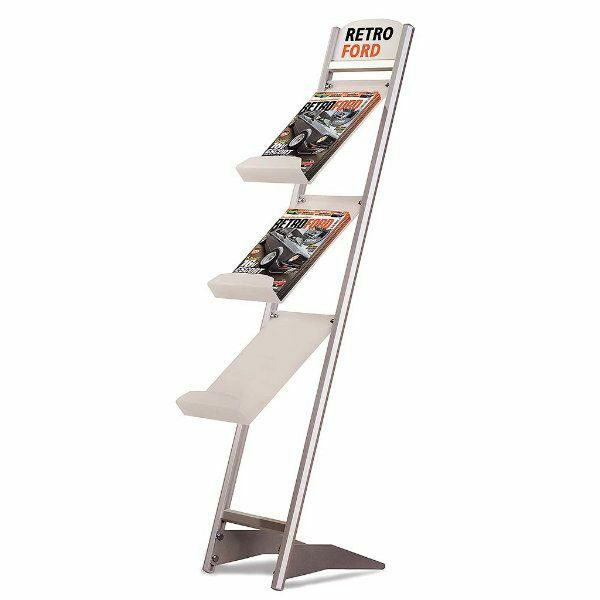 This silver magazine holder rack is a premium brochure display designed to offer informational catalogs or flyers to passersby. The literature stand can be used during trade shows or conferences to help generate attention to your products or services. 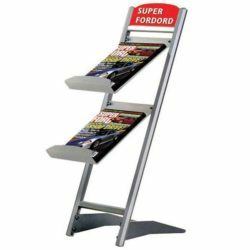 Each magazine holder features three frosted acrylic trays with thickness of 0.16”. They are suitable for any 8.5” x 11” size brochures in portrait arrangement. 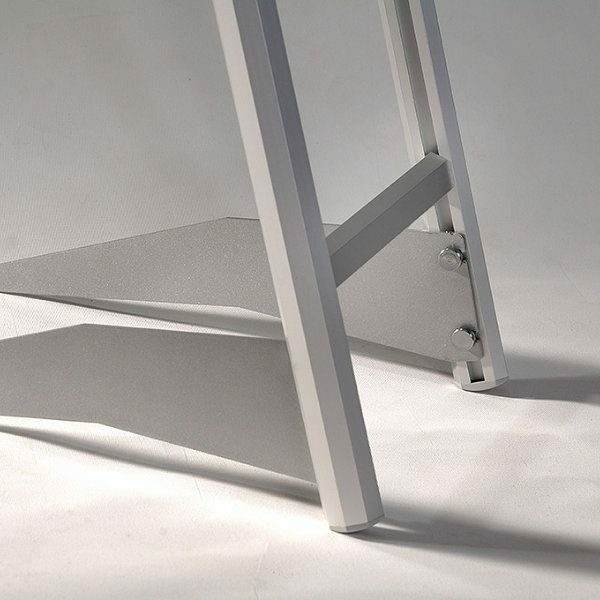 Tha feet base is very stable and good looking with silver powder coated finish. 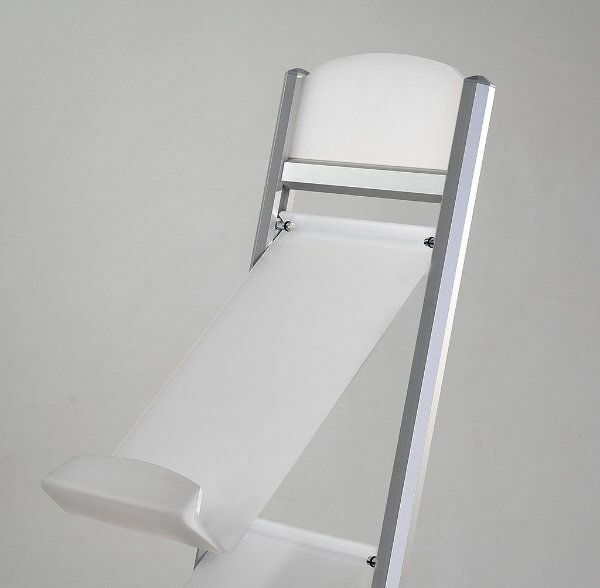 The side poles are silver anodized aluminum to match the base feet. 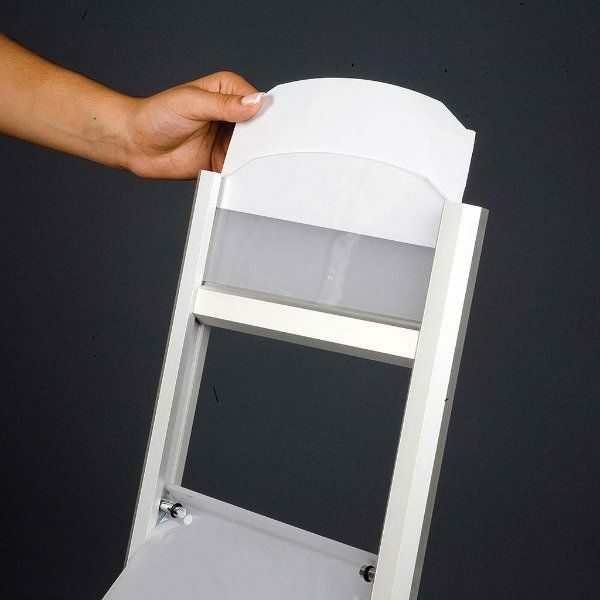 This elegant magazine holder can blend into any environment yet modernize it. 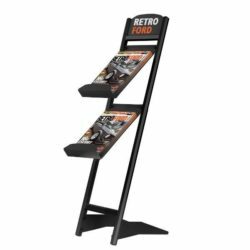 Place the display in a high traffic area and let your advertisement spread quickly! Very satisfied with the purchase. 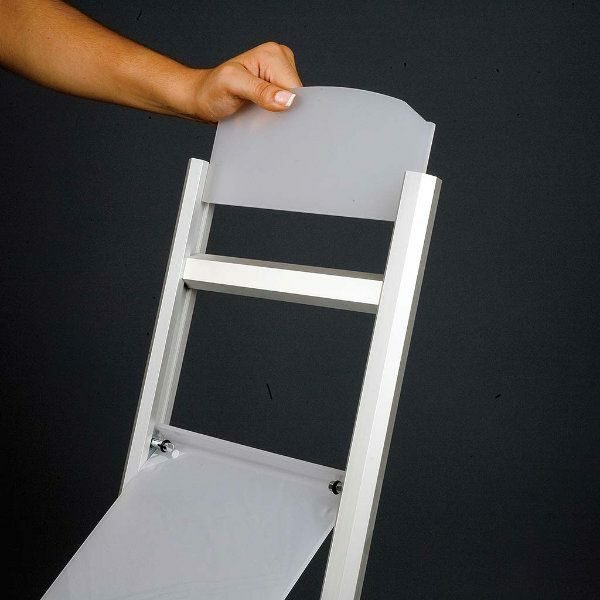 Perfect size for holding papers, files or magazines.